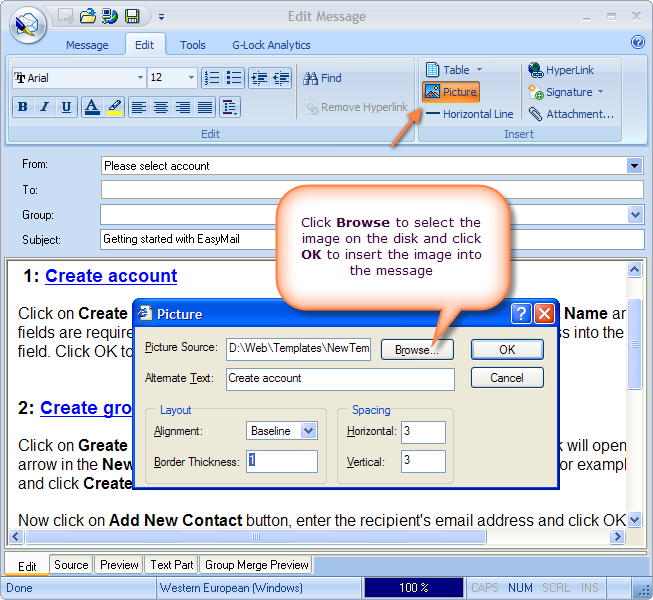 The capability to use images and photos in the messages is the main reason why people want to send HTML emails. The images allow you show your products to potential buyers, in addition they’re often used to track email open rates. But like many HTML tricks, they have their down sides. 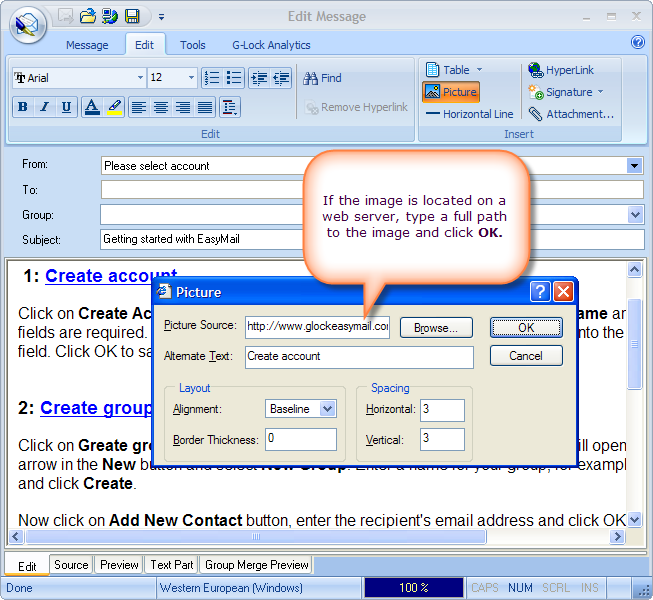 Spammers often abuse the images, so some email clients don’t show them at all without the user’s permission. Other email programs display the images included in an “img” tag, but not the images that are included with CSS, or as a background image, or both. 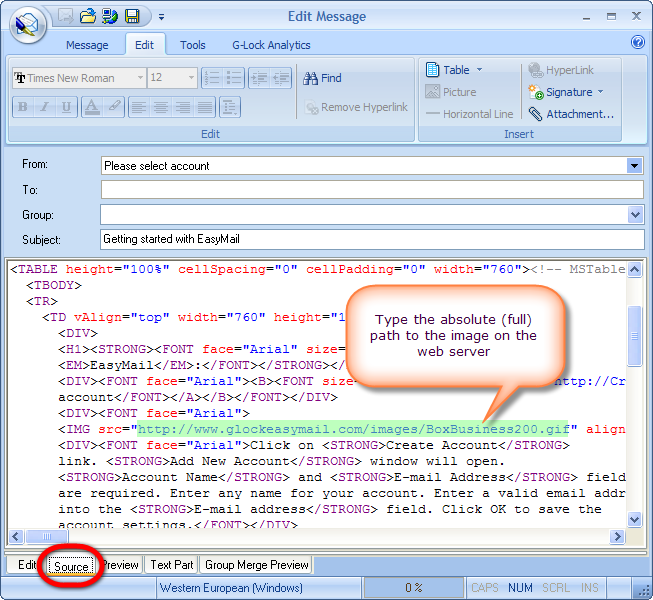 – Type an absolute (full) path to the image file on the web server. Absolute paths are called that because they refer to the very specific location, including the domain name. The absolute path to a web element is also often referred to as the URL. Don’t use free image hosting services! You really need your own server to host the images. Free image hosting services are not so reliable because of the heavy traffic. Also, the spammers are known to use free image hosting services to track their emails. Never use images for important content like headlines, links and calls to action! Test your design in a preview pane, full screen and with images turned ON and OFF before you send it.